Soil detective tools; is your farm moving forward or backwards? Click on the image below to download the flyer and registration form. 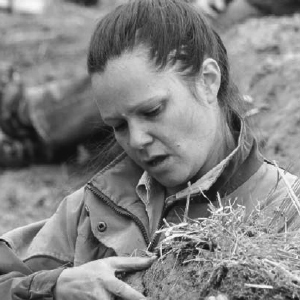 MastersNicole from Integrity Soils, is an agro-ecologist with over 17 years’ extensive practical and theoretical experience in regenerative / biological farming practices. 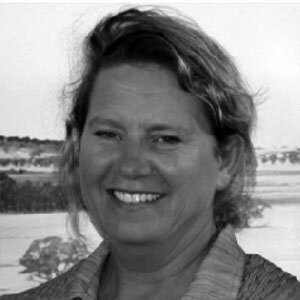 Since 2003 she has taught these practices throughout Australasia and North America; helping to inspire and guide farmers into new and innovative ways to produce food. Nicole has a proven record in supporting farmers in meeting their goals through an holistic approach to soil and pasture management. You may have seen her articles in Straight Furrow, Dairy Exporter or international rural publications. 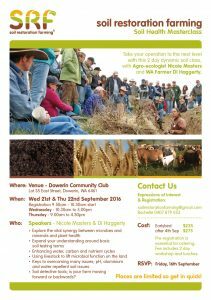 "This presentation has completely changed my future thinking of my farm fertiliser requirements." “We practice biological farming methods, utilising soil friendly fertilisers to support and encourage biodiversity in soil life, resulting in excellent feed quality for our livestock. We believe that building soil health = plant health = animal health, and ultimately human health, in the way nature intended”.